WHAT DOES YOUR ENTRY DOOR SAY ABOUT YOUR PERSONALITY? Vinyl windows with Brock have a high R-value (meaning, they’re resistant to heat flow). They are specifically designed to hold in desired indoor temperatures while keeping out the outdoor ones! Low-E glass reduces heat loss. Bonus: save money on your utility bill! Arguably the best “pro” any window could ever boast, your Brampton, ON vinyl windows require very little maintenance—no painting or staining needed. Actually, they require only an occasional cleaning with a damp towel. That’s it! Note: high-pressure hoses are not recommended for use on vinyl. Vinyl is known for its resistance to cold (thank goodness) and heat. Also, vinyl is not easily dented or broken—it takes a lot to damage this material. Bar far, vinyl windows are the most cost effective option available today. Be sure to do your research, though; not all vinyl windows are created equal. This does not mean few options, but there are often fewer options with vinyl textures, colors, and styles in comparison to wood windows. Most vinyl is not paintable and for some homeowners—the “permanence” of their color choice is too risky. The material itself (and the manufacturing process) is all chemicals. In general, any inorganic material poses a potential environmental impact. With popularity, there has come to be a variation in quality. In the last decade, the demand for vinyl windows has caused an influx in manufacturers—many of which are low quality. Homeowners need to be thorough in their search for the right vinyl windows. We know… this is a lot of information to digest. Take your time, ask your questions, and do some comparative research. 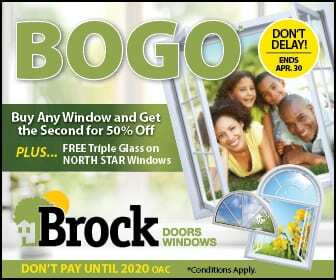 Feel free to call us at Brock Doors and Windows anytime. We would love to take you around our showroom and show you the many examples of the various vinyl window styles and discuss the different options you have with regard to features, cost, color, etc. Remember: all window styles and types have their pros and cons. What’s important is to remember what works best for you, your family, and your budget. We can’t wait to meet you!